Eight very large crates and four loaded, shrink-wrapped-like-there’s-no-tomorrow pallets. This is what the Moda booth looked like fifteen minutes after Market closed at 4:00 pm. 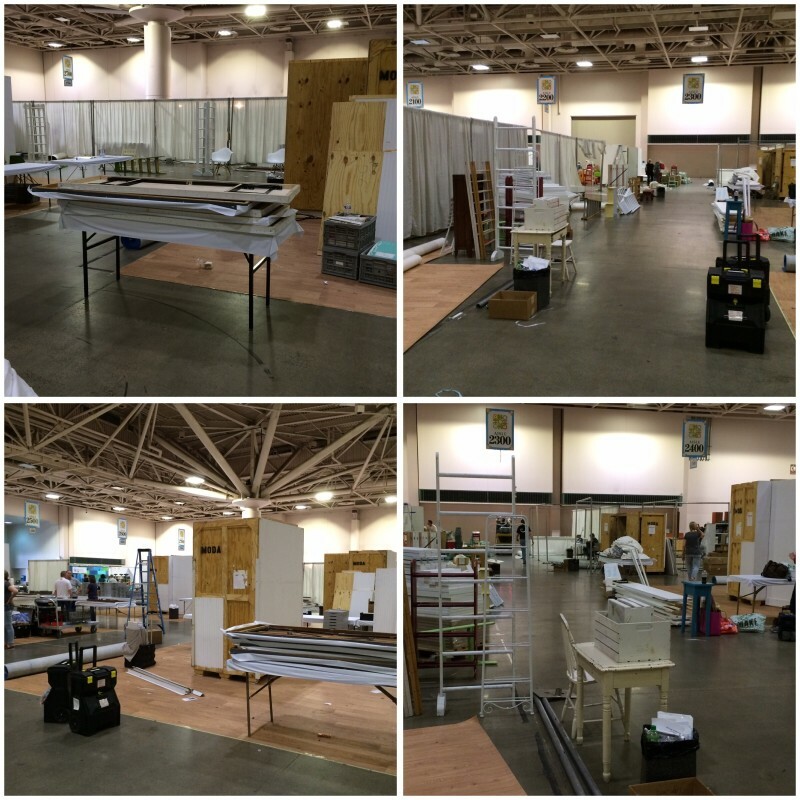 While the booth stays in-tact until the 4:00 pm announcement, there’s a whole lot of “straightening up” and organizing in the hour or so before then. The designers and sales reps who are still there are suddenly very tidy. Papers and whatevers they’ve collected and don’t need are tossed – paper is heavy and bag-weight is always an issue – things to take home are “organized” and a quilt or two might happen to fall down. As soon as it’s time, quilts come down, table and chair covers are removed and piled on a table. The chairs are folded and stacked on tables, and more than half of the tables are broken down and stacked on top of each other. 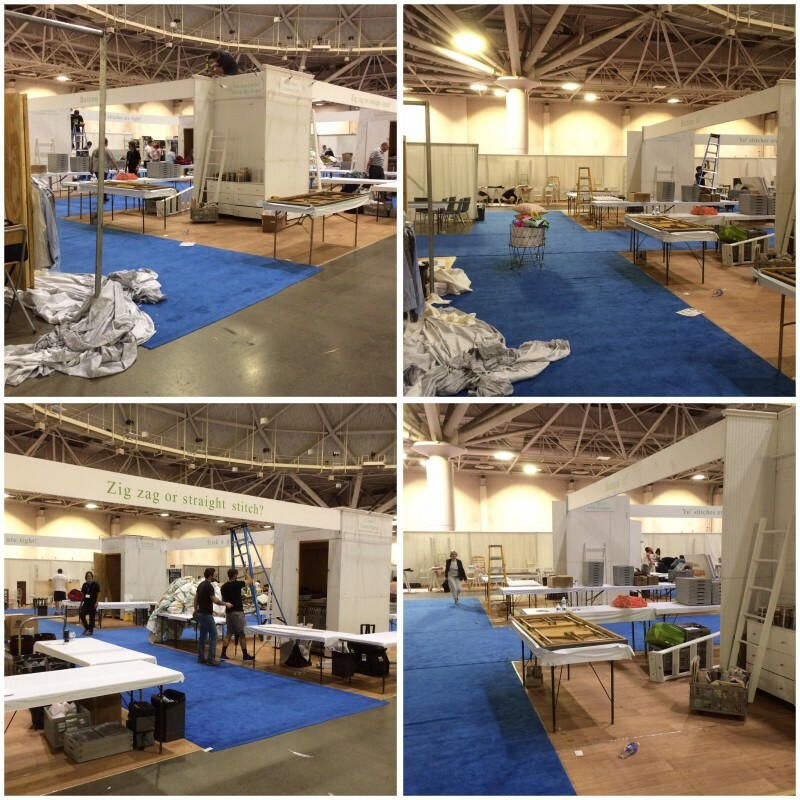 The tables belong to the convention center so it’s all about making room to move around. 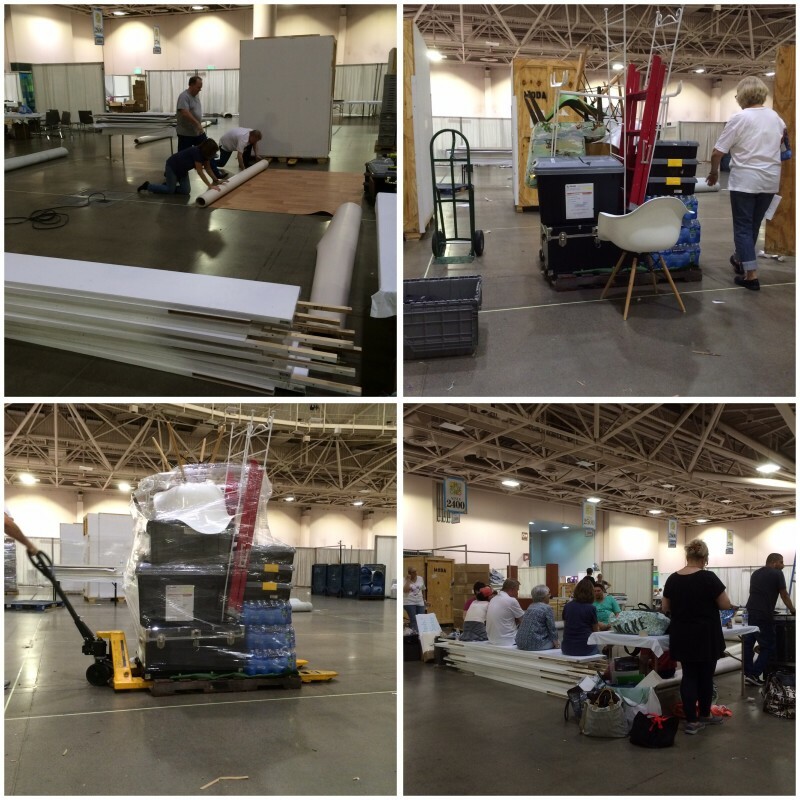 The props, ladders, tables and chairs in the designer booth are collected, and the flooring is rolled. The long cross-pieces/signs that connect the four pillars of the booth have been taken down. 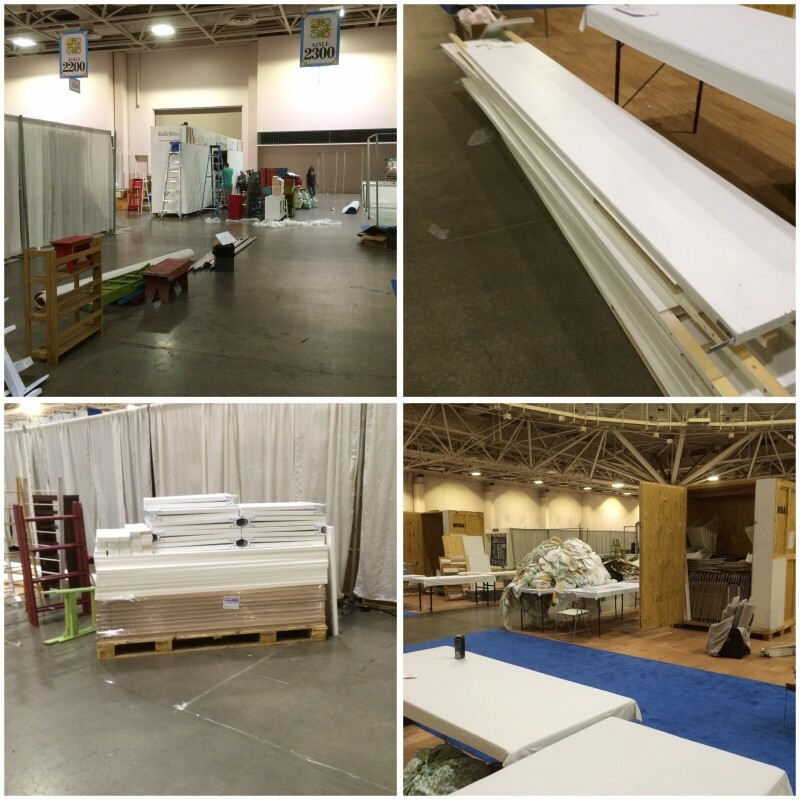 The backdrops and pole covers in the designer booths have been taken down, folded and stacked; they’re ready to be packed. It’s now 5:35 and while all the carpets are now up-and-out, things are moving a bit slowly because the “waiting for crates” has started. There are two large crates in storage, one of which holds a large lift that allows the big booth crates to be moved off the flooring. The lower-right corner picture? Our first crate has arrived – the one with the lift. The good news is that there is now a flurry of activity. The large crates are moved – that’s the lift in the lower-left picture – so the flooring can be rolled. Pallets are stacked and shrink-wrapped. It’s now a little after 7:00 pm. The large – it’s more long than tall – crate finally arrives a few minutes later. The flooring and signs are inside, the ladders and a whole bunch of other stuff is stacked on top, and the entire crate is shrink-wrapped. Tightly. A couple of times. 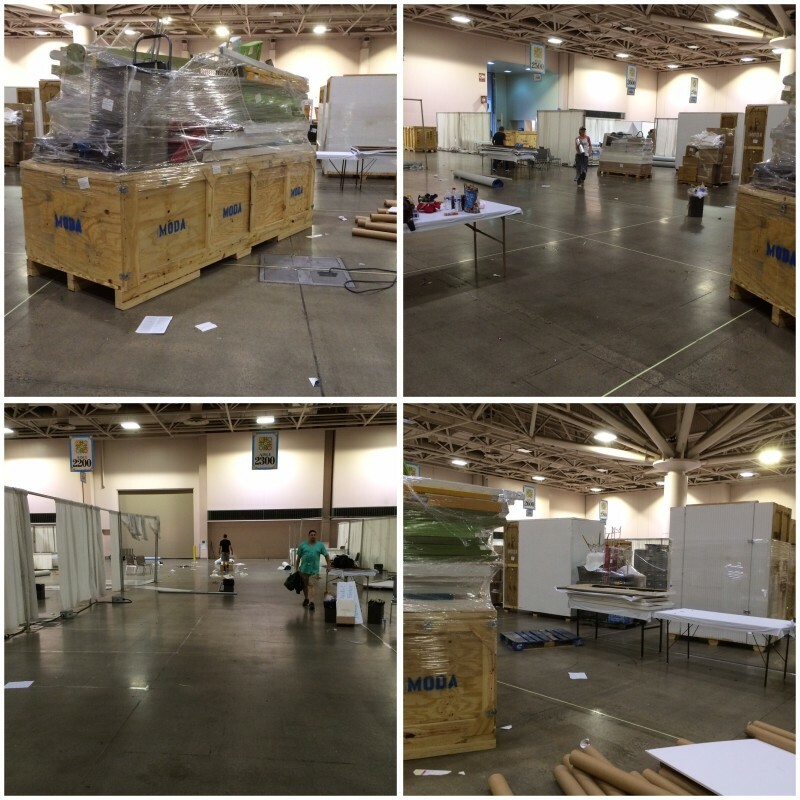 Bags and totes are retrieved, one last picture of the crates is taken and Moda officially leaves the building at a few minutes to 8:00 pm. After a celebratory dinner at the hotel – pizza and libations – we fly home later this morning. Most everyone is planning to head home from the airport though it’s also expected that a few will still “run by the office” since it isn’t that far from the Dallas-Fort Worth airport. Some will be in tomorrow but it isn’t required. But given that there is plenty to organize and start working on from Quilt Market, and more to catch-up on from the office, some work will get done. While market might be over, the next few weeks are very busy for everyone. After all, Fall Quilt Market is only five months away. And if memory serves, someone is having an anniversary. A big one. Awesome post, fun to see the not so glamorous side too. Hope you all aren’t delayed with the wind this morning (although it seems calmer). As it probably is with most things, there’s a whole lot of work that goes into a few minutes of “glamour”. Carrie, you are an amazing…everything! The blog posts and Instagram have been delightful and your trademark sense of humor and incredible efficiency have been a joy to read. Moda is blessed to have you! The message above is not a paid endorsement. Thoroughly enjoyable Carrie! I am certain no one has had the close look at Moda Market without being there like all of us have. Thank you! Fantastic posting. Showing set up and then take down puts everything out there. The process is hard work. My sisters and I want you to know how much we appreciate all if it. On top of that are the fabulous 2015 lines of fabric and new designers to inspire our creativity. Thank you for another fantastic Market. 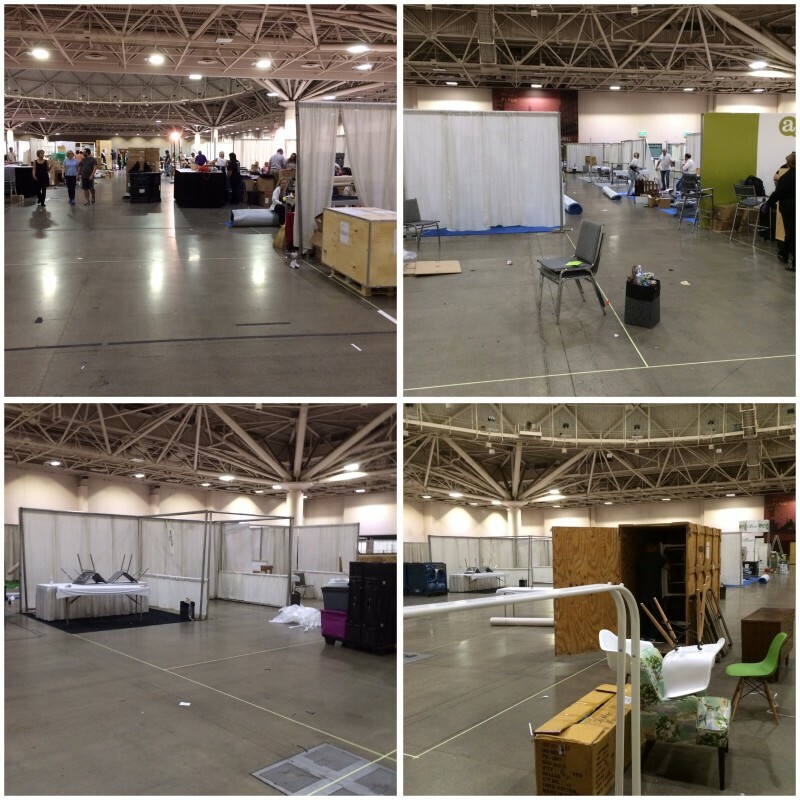 Looking forward to seeing what Moda brings us at Fall Market. So.much.work. Thanks for sharing it all with us! You’re welcome – it’s work but it’s also a good kind of work. It’s also a lot of fun when you’re working with terrific people who all pitch in. Thank you very much for your Market reports. From beginning to end it was fun and interesting. Perfect for those of us that can’t be there. It is much appreciated. Whew I’m glad that is done. I would love to attend the Houston Market, what are the dates? Is there a criteria in order to attend? I aspire to be represented at such a market because I have over 2000 hand-drawn designs and thousands more besides that are a combo of hand & computer. People that have seen my patterns, fiber artists, quilters, etc. say they would buy my designs if I could get them on fabric. They are colorfully vibrant, often very detailed, original and unlike anything I’ve seen on fabric. Can you please tell me who I should speak to, or give me a possible referral? My website is below, but I haven’t posted surface pattern design, only art, and lots of it. If you check it out though, you will see, my love of pattern is reflected in everything I do. Thank you – hope this is okay on this forum; I wasn’t sure how to proceed. What? Not even one day off? You worked all weekend. This sounds like cruel and unusual punishment…one of our first 10 Amendments. Yes, you had great fun, but still, you must be exhausted! Please tell me you have a very short work week this week!!! Thanks for all the photos and posts, Carrie. I saw things before my friends even got inside the convention center. Glad you got to meet my friend, Jane Hauprich. Hey Carrie, Thanks for the pictures and updates on market! It was like being there without having to walk it! Enjoyed it all! Enjoyed the posts so much Carrie! now looking forward to a closer look at some of these collections. Have to say I have enjoyed every moment of posts and felt like I was there too! Lots of hard work and it shows in everyone’s efforts. 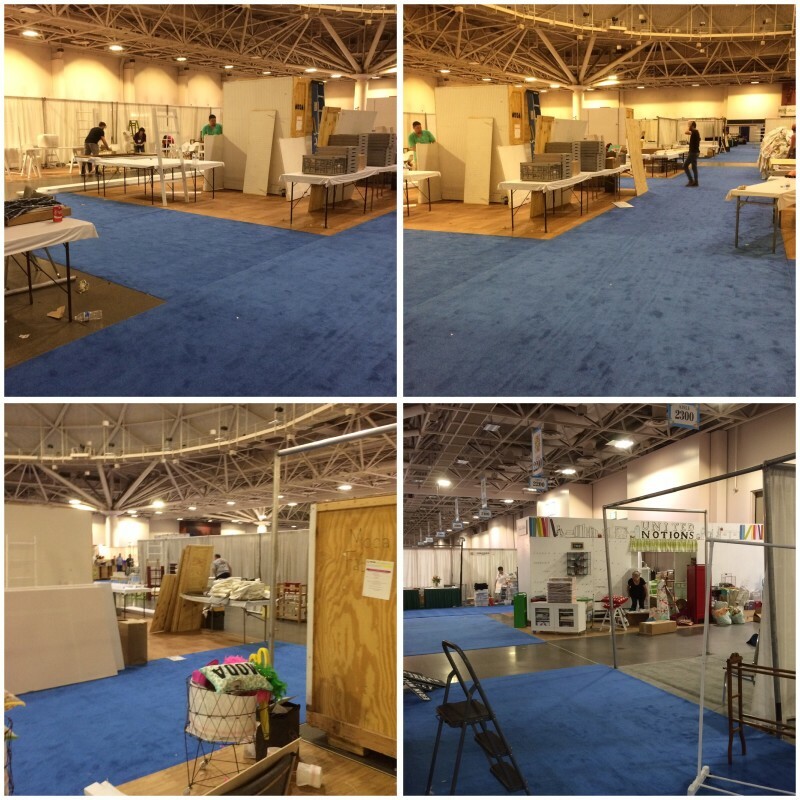 I feel like I now know the whole “family” and not just the designers as I followed along with every post….thank you and looking forward to the fall market…..GREAT JOB everyone.